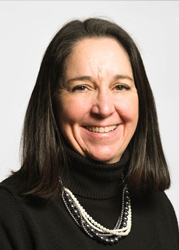 Renée W. Dwyer is a trial attorney focusing on civil litigation. Her litigation practice involves the defense of serious premises liability actions for many, large, self-insured companies. She also has experience in sports and recreation litigation. Attorney Dwyer also represents employees in Federal and State Court in cases involving all forms of discrimination including sexual harassment. Attorney Dwyer routinely represents the daycare industry before the Office of Early Childhood’s Division of Licensing. “Social Media Etiquette: The Ethics of Collecting and Preserving Social Media Evidence”, Customer Connections, DRI, The Newsletter of the Retail and Hospitality Committee, Vol. 1, Issue 1 (3/26/15) reprinted with permission CDLA, The Defense, Spring 2015. “Slip and Fall in Aisle Four: Modern Premise Liability Challenges to Retail Operations,” DRI – For the Defense, February 2012. Co-authored by Renee Dwyer. Cersosimo v. Farrel, et al, Judicial District of Hartford, Docket #: HHD-CV-16-6065726-S (August 25, 2017). Defense verdict in case brought by injured plaintiff pursuant to Connecticut’s dog bite statute (Connecticut General Statute § 22-357). Despite the statute’s rigorous strict liability standard, the jury ultimately ruled for the defense finding an applicable exception. The plaintiff’s motion to set aside the jury verdict was denied and the case is being appealed. Josey v. Filene’s, Inc., 187 F.Supp.2d 9 (D.Conn. 2002), (Motion for Summary Judgment granted in part, finding in favor of the defendant on the basis the plaintiff failed to make out a claim for intentional infliction of emotional distress, and that the plaintiff failed to prove there was state action required to have liability pursuant to 42 U.S.C. §1983).